with their toxic trade in illegal cosmetics. no matter how big the retailer, since no one is above the law. November 19-23 in Geneva, Switzerland. step to protect future generations — and the environment. to only worsen with skyrocketing global demand. highest standards for selling safe and legal cosmetics. such as eye makeup cleansing products and mascara. lightening products on a regular basis, says WHO. ranging from 260 – 16,353 parts per million (ppm). cosmetics with a mercury above 1 ppm. kidneys, digestive, immune and nervous systems. than 10,000 times higher than the legal threshold of 1ppm. 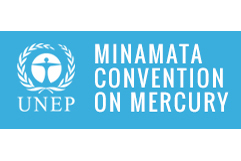 the Minamata convention provisions, the letter says. mercury content exceeding 1 ppm. above 1 ppm (33%), whereas in Indonesia it reached 31%. mercury content, while the Thai samples reached 63; and. countries are incomplete and/or inadequately enforced. social stereotyping on the basis of skin color. billion by 2024, according to Global Industry Analysts. Cosmetics appeared first on Inter Press Service.